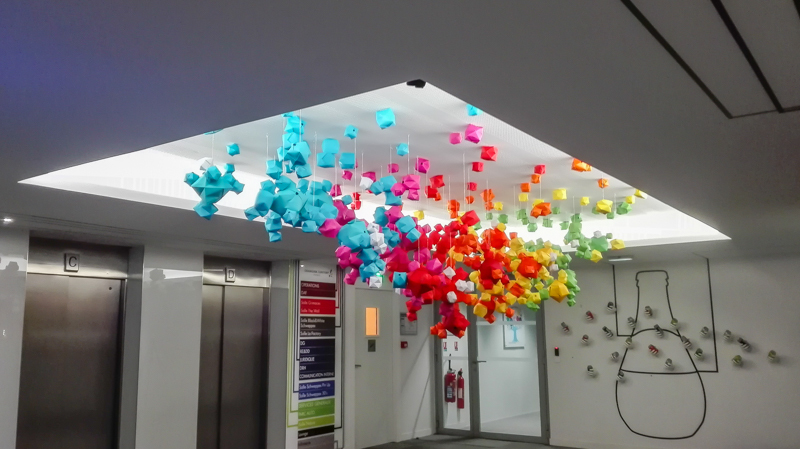 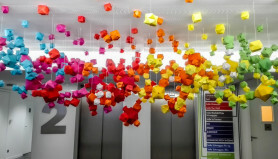 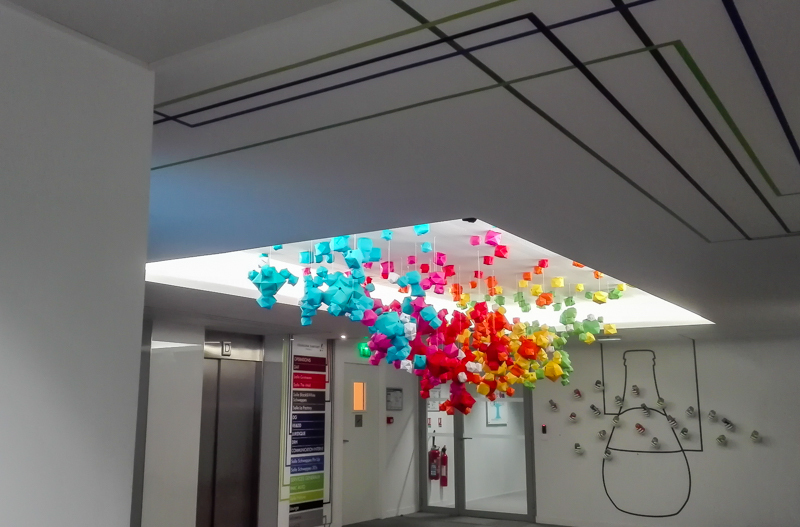 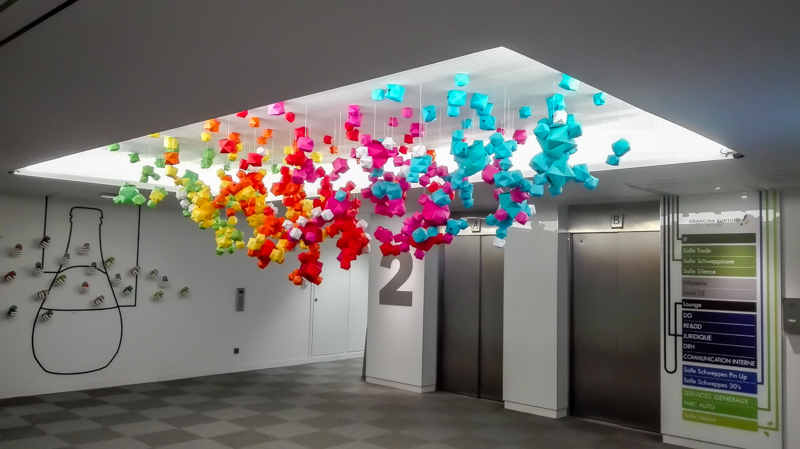 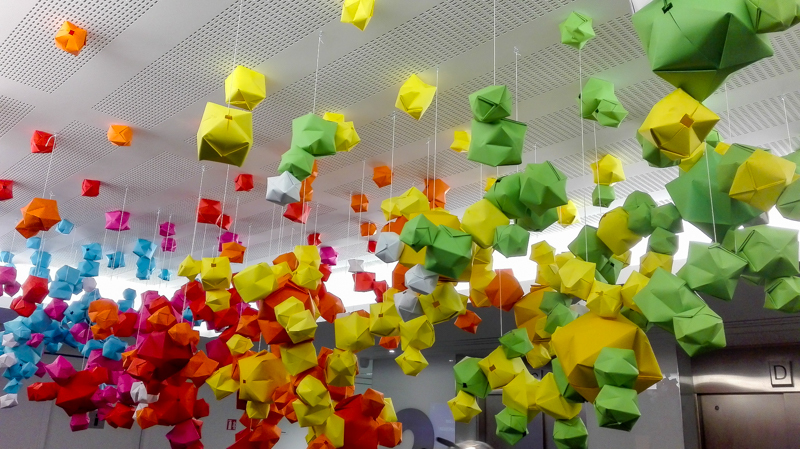 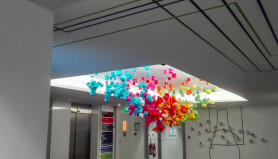 Ephemeral installation in the headquarters of Orangina-Schweppes France, French manufacturer of soft drinks. 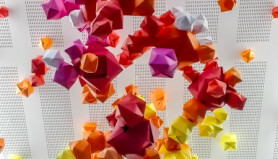 A product Made in France, a reason why the artist has accepted this collaboration. As in all commercial collaborations of this type, the artist pays 20% of its profits to a cultural, humanitarian or environmental association. 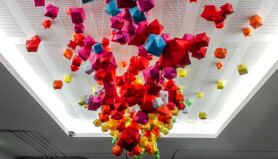 The work consists of symbolizing the sparkle in the mouth of a soft drink. 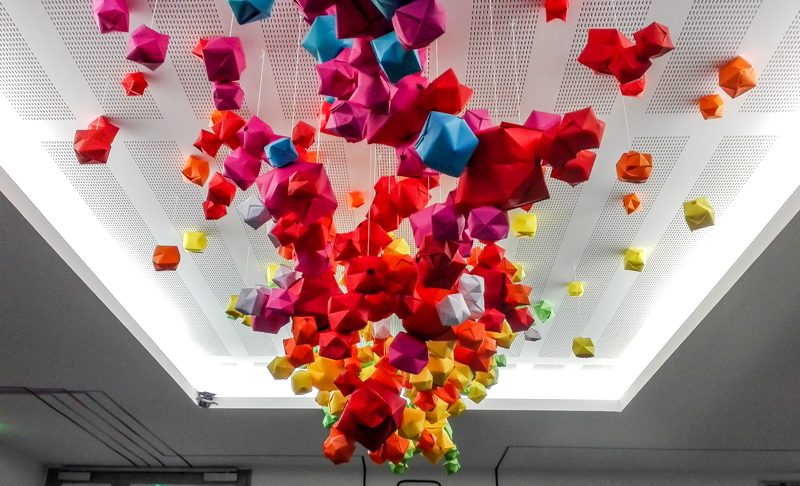 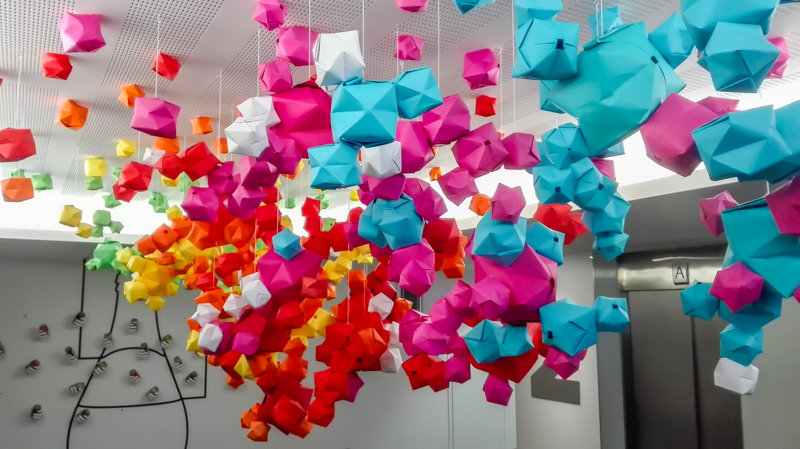 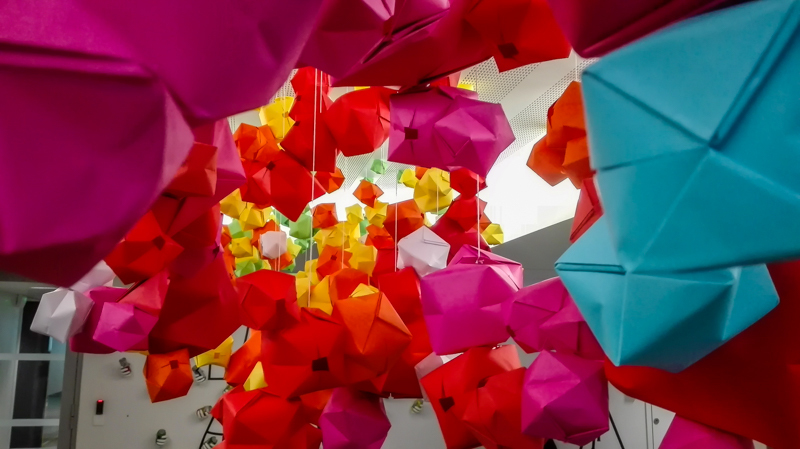 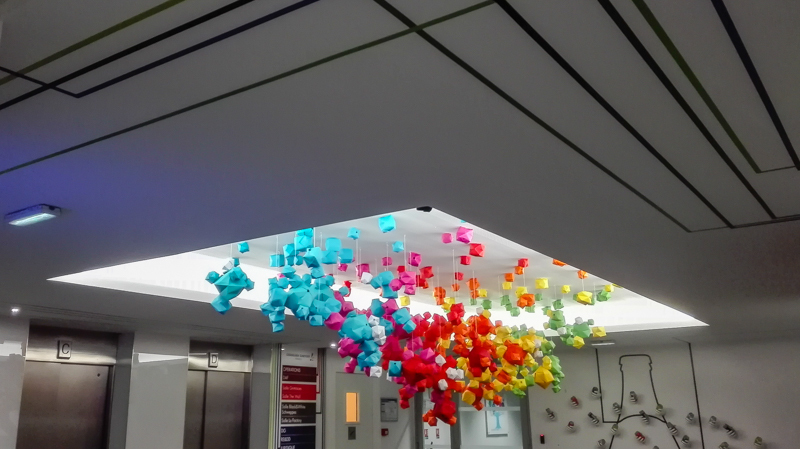 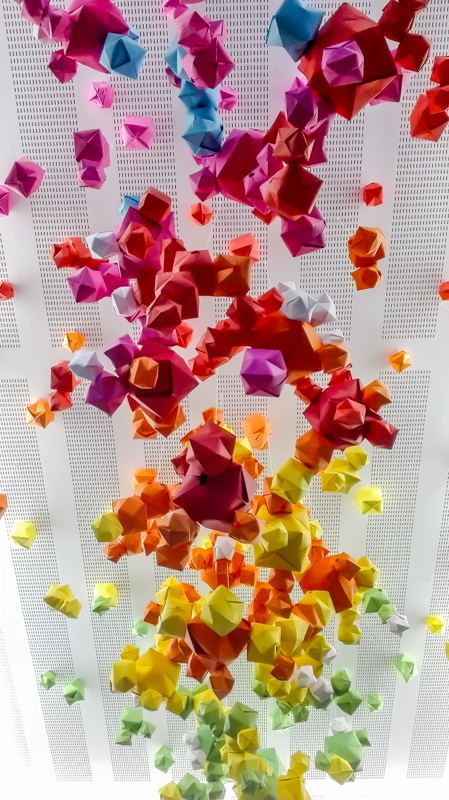 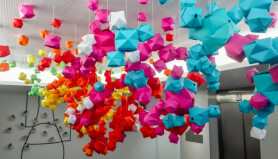 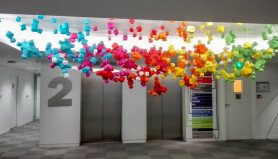 Suspended as levitating, the paper spheres escapes from the ceiling in order to fill the space with its spectral colors. The work is located at a central and strategic point of this workplace with hundreds of employees. 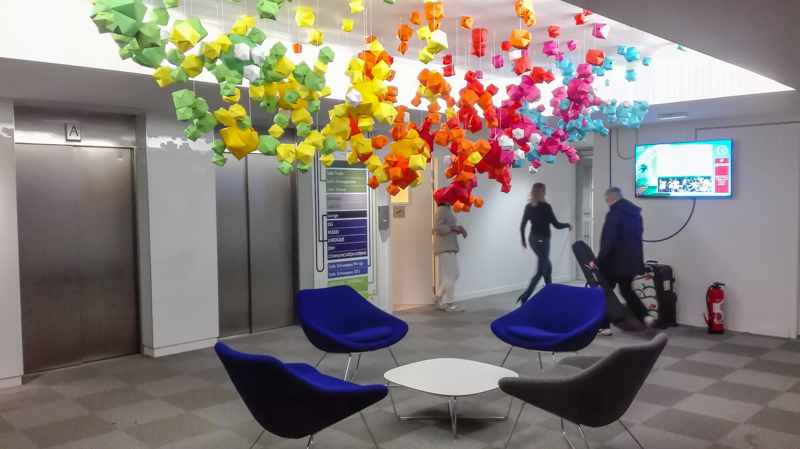 At the crossroads of exit corridors and elevators, the various employees meet in this monotonous hall far from the surrounding workspaces; these spaces usually so colorful and graphically dressed. It is therefore a work that tries to be bubbly and bring a little energizing and positive touch throughout the day. 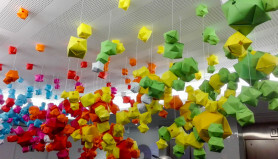 Installation made only from folded papers, glues and threads. 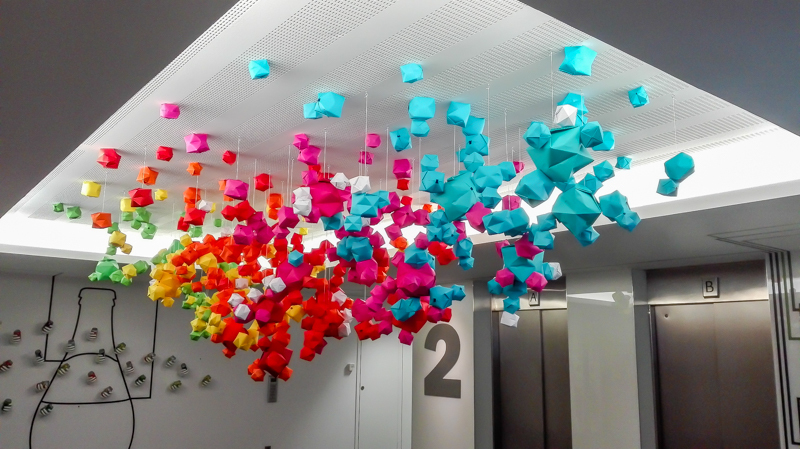 A big thank you to Séverine Duprat for her invitation and her investment in this project!